50 has never looked so good! 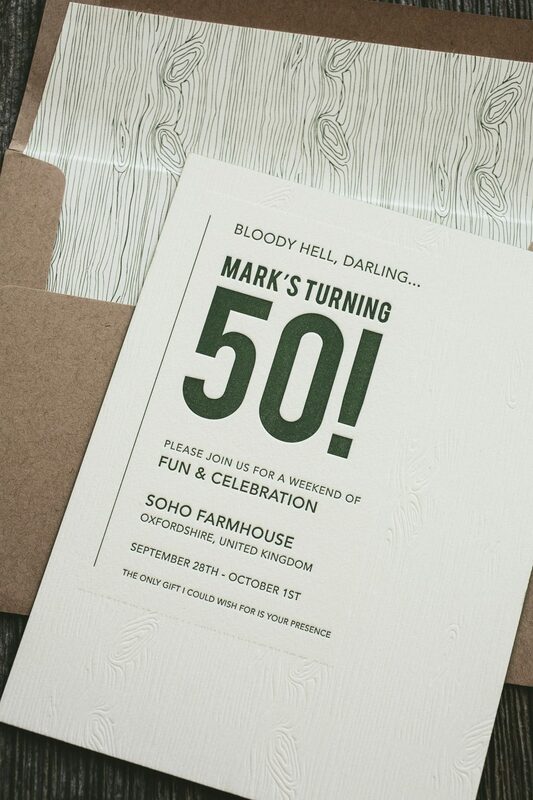 We worked with Wynwood Letterpress to create these 50th birthday invitations in vine letterpress. 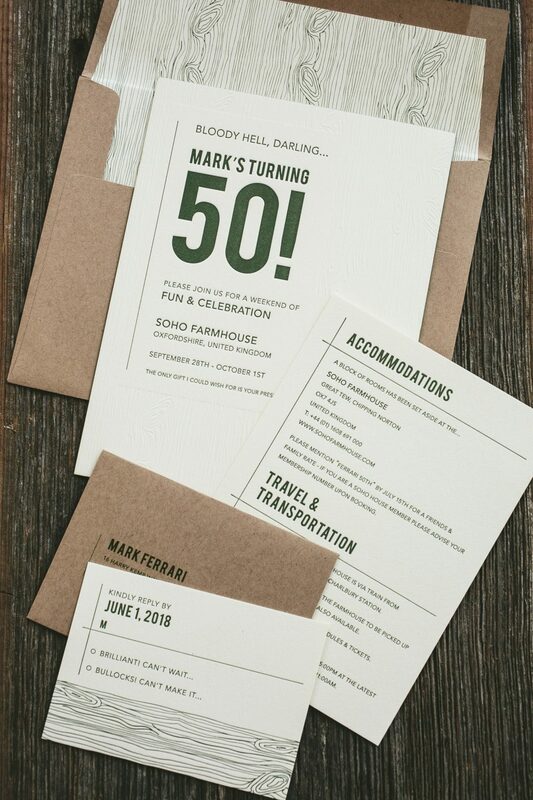 A Blind Deboss woodgrain pattern added to the background of the invitation created rustic texture. The left-justified typography kept everything clean and bold in a modern block font. 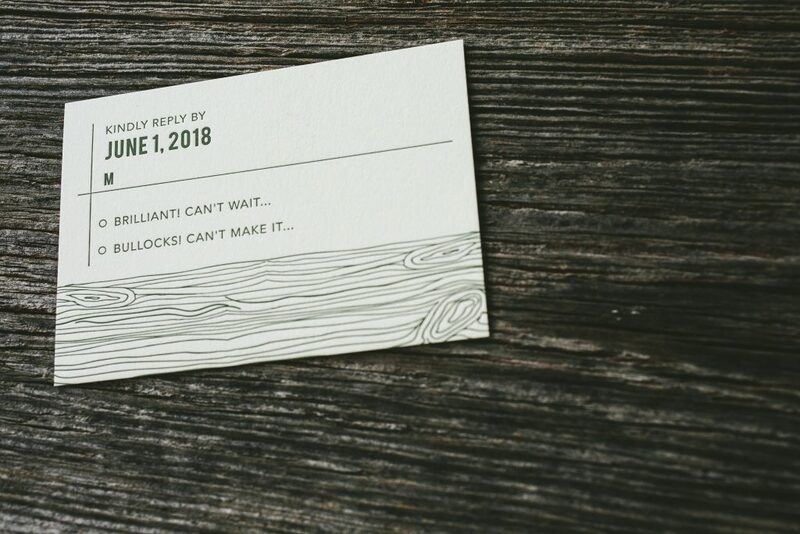 The suite contained a cohesive accommodations card as well as reply card in vine letterpress ink. The envelopes in jute brought a warm tone to the set with a woodgrain patterned envelope liner to match.